Hi everyone! 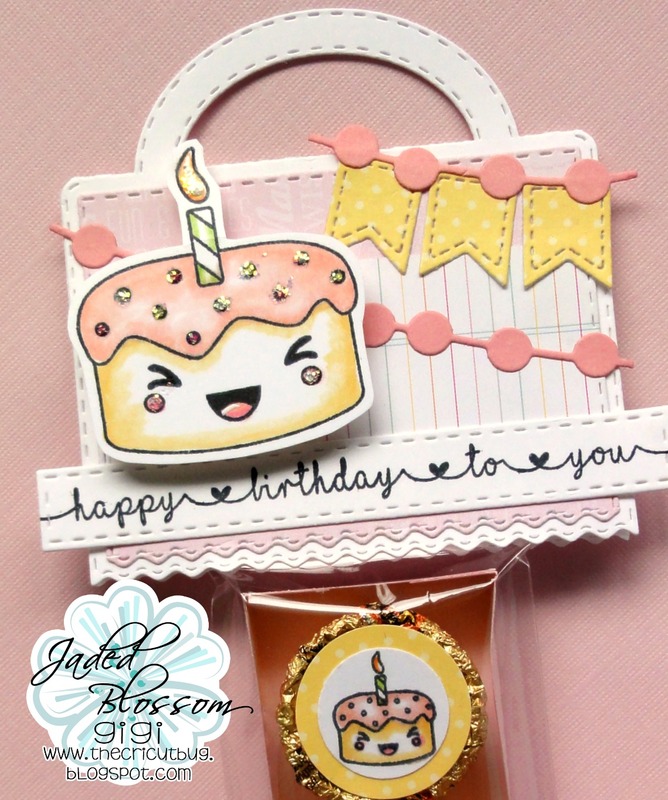 This is GiGi from The Cricut Bug and I am sharing this fun Birthday treat bag I made. I started this project with the Ric Rac Topper Die and cut it out. I added the banners cut with the Banner Dies and the sentiment banner cut with the Border Dies. 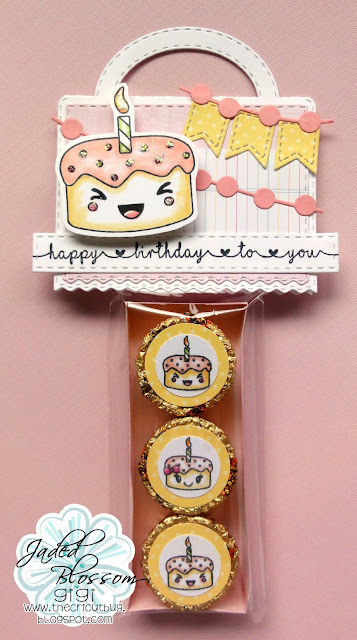 I stamped and colored the large and small cakes from the Cake Day stamp set, adding Stickles to the confetti on the large one. The sentiment is from the So Many Birthdays 3. 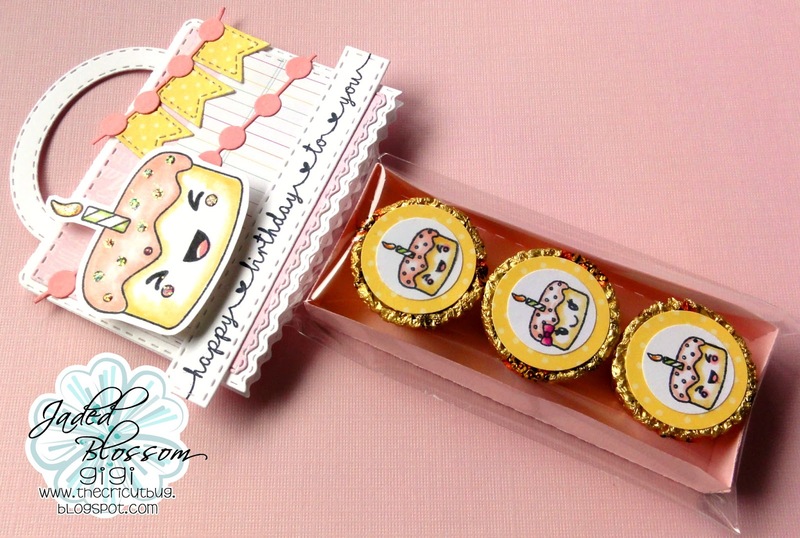 To finish, I added layered punched circles to the candy along with the mini cakes into a tray I cut with the Candy Caddy Die and placed into a 2.25 X 8 Inch Clear Bag. A fun & yummy treat!